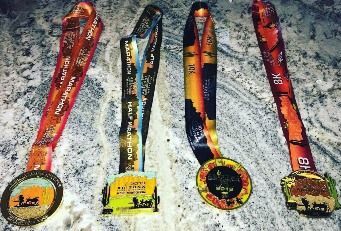 2020 medals will be similar to the 2019 medals shown here. 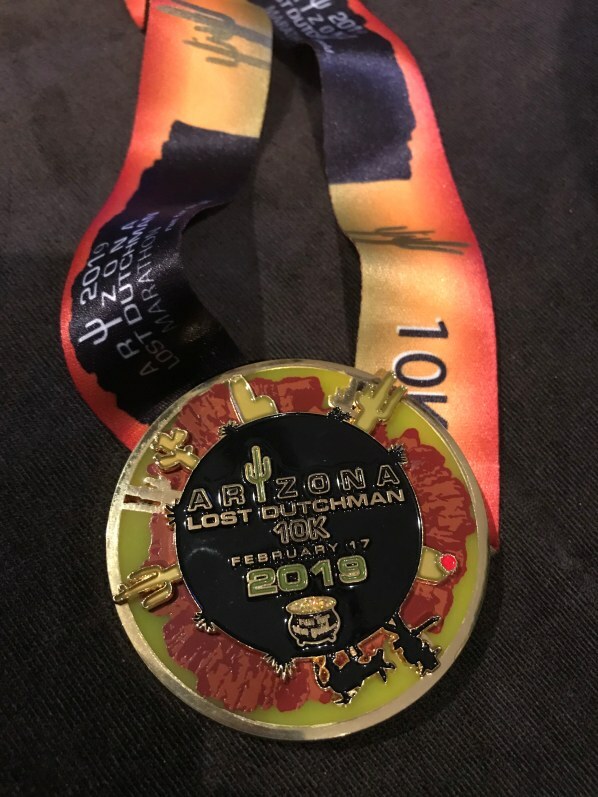 2020 medal designs will be posted once they are finalized for the year. 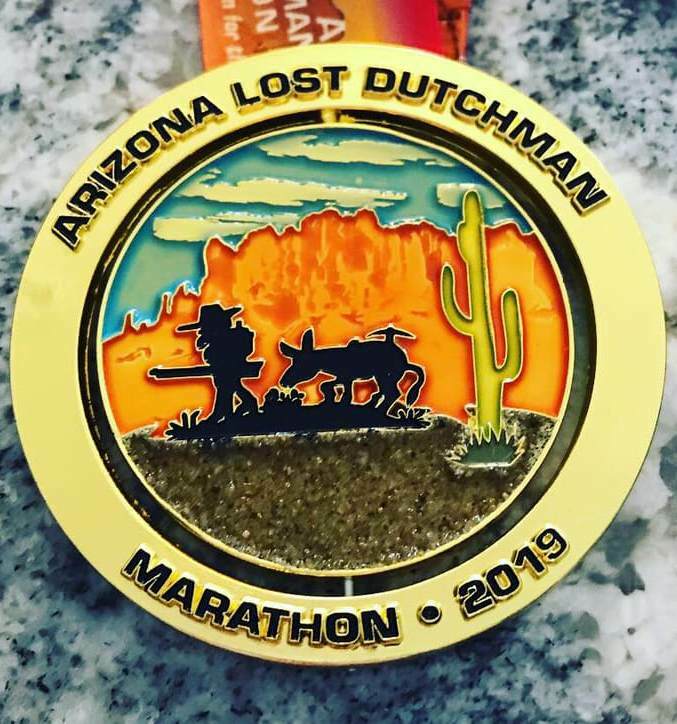 All Marathon, Half Marathon, 10K, and 8K finishers receive a beautiful medal from Lost Dutchman. 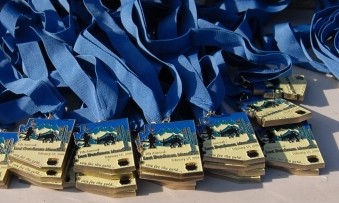 Each medal is 2 1/2" in longest direction. 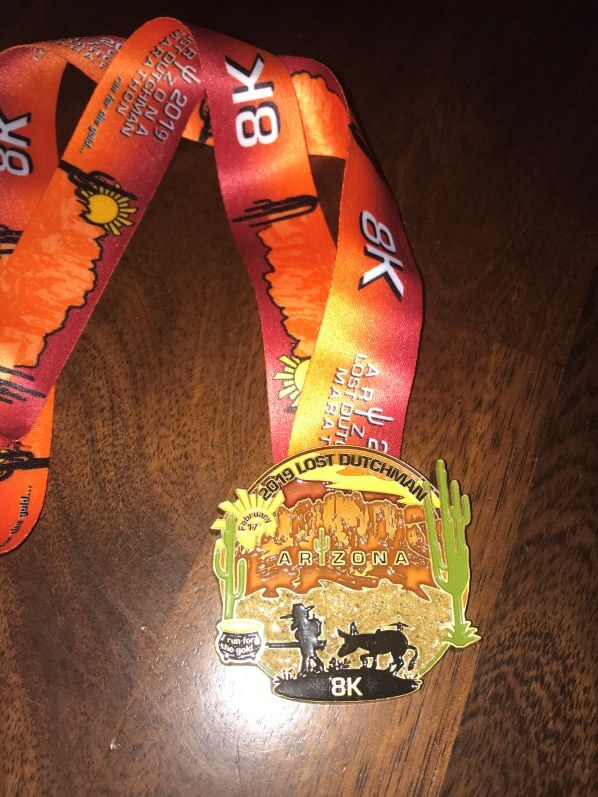 Scroll down for images of the medal for each race distance. 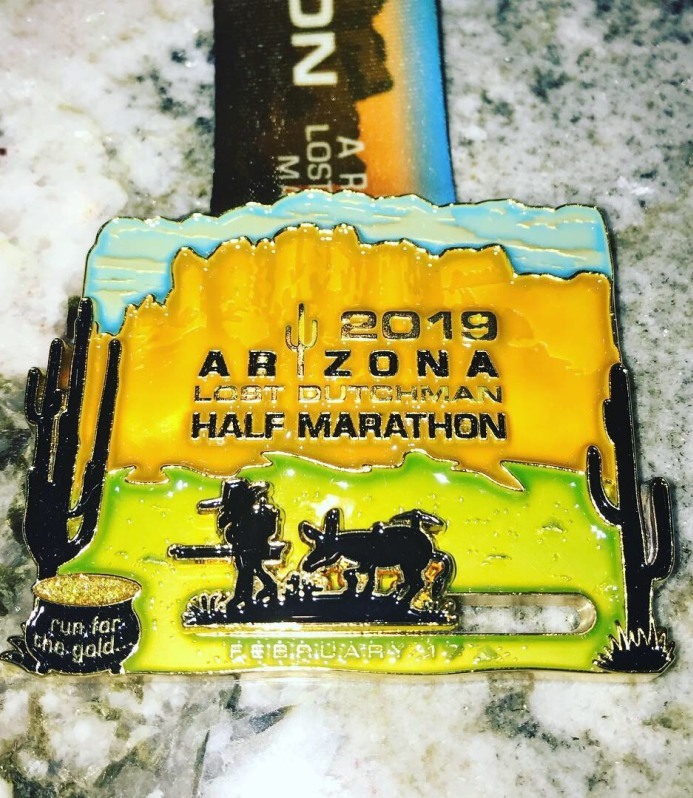 Award information is here.